Aftershave is just as important for a man as the razor he uses in his shaving routine. A good aftershave is the difference between having a decent shaved look and a perfect one. Men who use aftershave report having better confidence in their looks, less skin irritation, a little to no bleeding, quicker healing, and some aftershaves even add pleasant medicinal scents that help a man feel extra fresh and clean. 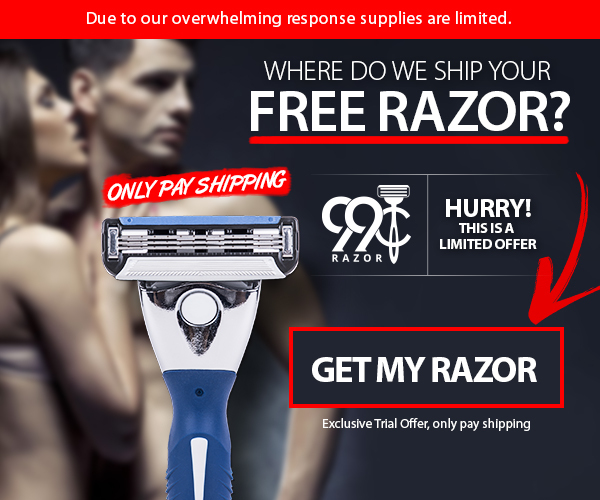 What Should I Keep In Mind When Shopping For Aftershaves? Proraso Aftershave is an innovative brand of aftershave that is highly revered and trusted by the men who use it. The Proraso brand has two different aftershaves that men can enjoy. The first is a balm similar to a lotion. A man can apply this balm and enjoy the soothing coolness and gentle scent that will protect them from irritation and leave their skin feeling hydrated. Proraso has a second type they call the "green splash" that is more liquid than lotion. The green splash aftershave is more harsh as it contains alcohol and gives the shaver a "bite" that leaves the skin soft and protected. Some aftershave splashes are heavy in the alcohol content, but Proraso's splash is light on the alcohol and much gentler than others. 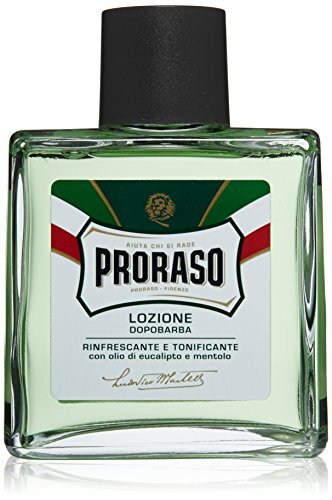 Proraso aftershave green splash also contains allantoin and menthol for a soft "minty fresh" feeling on the skin immediately after application. 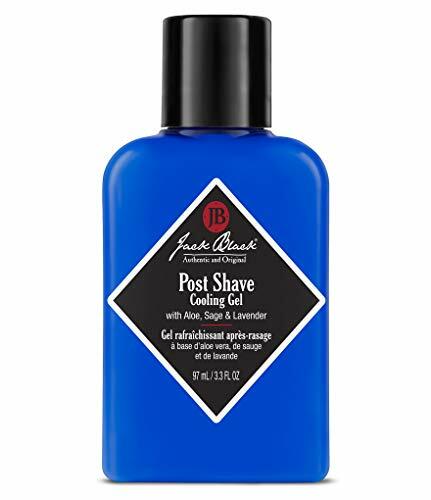 Since there are so many innovative aftershaves with different volumes of ingredients, it's difficult to find the one that delivers what it promises. Everyone has different skin types, too, and this can add to the confusion and overwhelming factors of searching for the aftershave that will do your skin justice. Since practically every bottle of aftershave on the market wants you to believe it is "the one-stop brand for ALL skin types!" it's up to you to know how sensitive your skin is and how it will react to certain products. There are a few things you can familiarize yourself with to help you weed out the aftershaves that are not for you. The scent of any aftershave should be just a small aspect to take into consideration when browsing for the right product. Scent is important, but there is so much more to aftershave than making one smell good. The first thing to look out for is to know what type of aftershave you desire. There are four basic types: splash, lotion, gel, and balm. The correct one will depend on your specific skin type. If you have normal skin that is not too sensitive, it will handle the alcohol sting from the splash well, and this would be a wise choice for you. If you have more oily skin, you can choose between splashes, lotions, and oils depending on your preference. If you can, however, try to stay away from balms. Balms are more ideal for those with dry skin or those who live in cold and dry climates. Balms are also recommended for those just starting out in the world of aftershaves. They are great for beginners. If you have sensitive skin, balms, lotions, or oils that are paraben-free and have little to no alcohol content are a good choice. Splashes are not the best choice for sensitive skin. It's also important to look at the ingredients of the aftershave you are considering. Two major aftershave ingredients are alcohol and witch hazel. Many people favor witch hazel over alcohol because witch hazel is natural, constricts the pores effectively without drying out the skin, has anti-inflammatory qualities, and is effective in cleaning the skin by flushing out bacteria. Alcohol does these things too but is not natural and is more harsh on the skin. It can dry out the skin. There are plenty of other ingredients to look out for, and some of these include tea tree essential oil, aloe vera, and humectants. Tea tree is a natural antiseptic that flushes out the pores and prevents skin infections. It also has natural cooling abilities and will help sooth the face post-shaving. 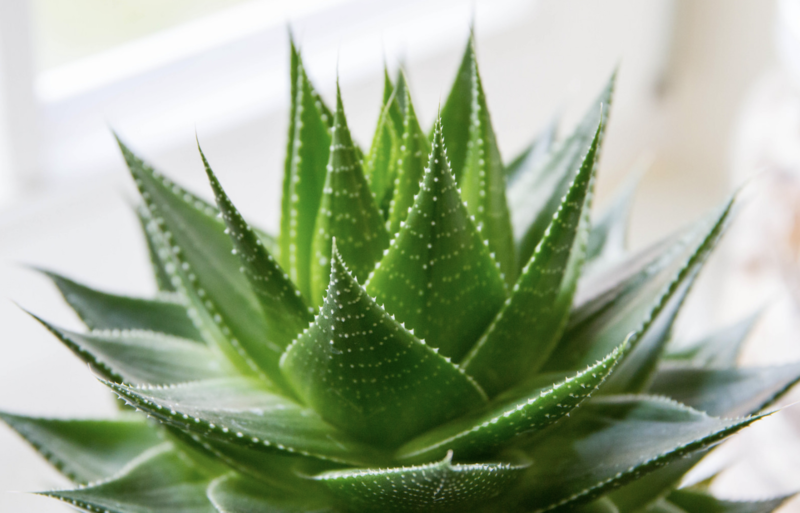 Aloe vera is an incredible heal-all plant with amazing soothing qualities. It is best used for healing burned skin and lessening any existing pain. One can find humectants such as glycerol, sorbitol, and lactic acid in aftershaves to help minimize dehydration of the skin. Although it is a small aspect of choosing an aftershave, fragrance is still something to consider. The duration of a fragrance will change depending on the body chemistry and skin type of the applicant. Since oils are the main ingredients in fragrances, dry skin will cause the smell to dissipate quickly while oily skin will cause the scent to linger. If an aftershave contains alcohol, the smell will evaporate more quickly as well. The fragrance type is also important. The most popular types are floral, citrus, oriental, and woody. The higher quality these scents are, the more likely it is that they are layered and will appeal to a person's sense of smell in stages of top, middle, and base. The top is what one smells as soon as they open the bottle, the middle takes up the bulk of the fragrance, and the bottom comes out when the top has fully dissipated. It combines with the middle layer to provide a lasting scent. 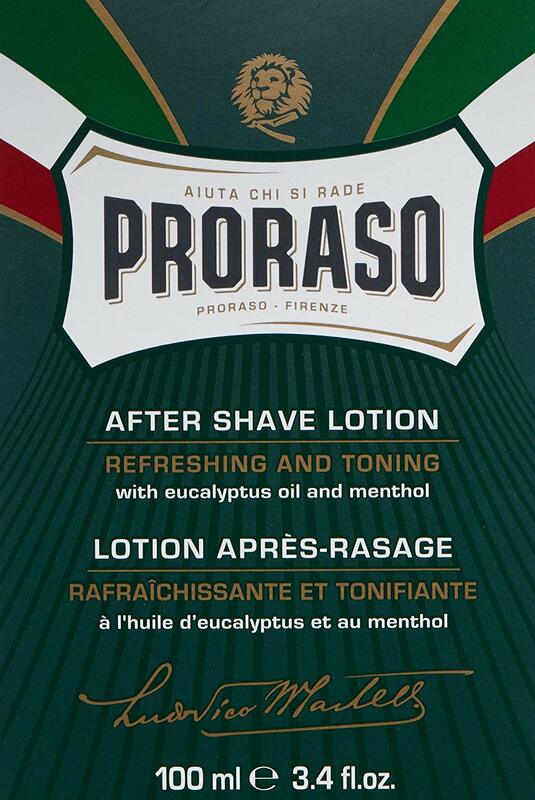 The Proraso aftershave splash offers a scent different from other scents of the Proraso line. Those who are overwhelmed by powerful menthol smells will be ple asantly surprised to open this bottle and breathe in the subtle cooling scent of the menthol with a complementing hint of cooling eucalyptus essential oil. Men who are concerned with the scent of this aftershave lingering on their face too much will enjoy the pleasant and fast-dissipating aroma of this aftershave. The scent is clean yet subtle and does not impede one who puts cologne on afterwards. The burn associated with the alcohol content of this aftershave is also minimal compared to other alcohol-based aftershaves. Users report the burn is small but noticeable enough that one can feel the product killing the bacteria left on the face post-shaving. Once the minimal burn is gone, it leaves the shaver with a clean, soft face. 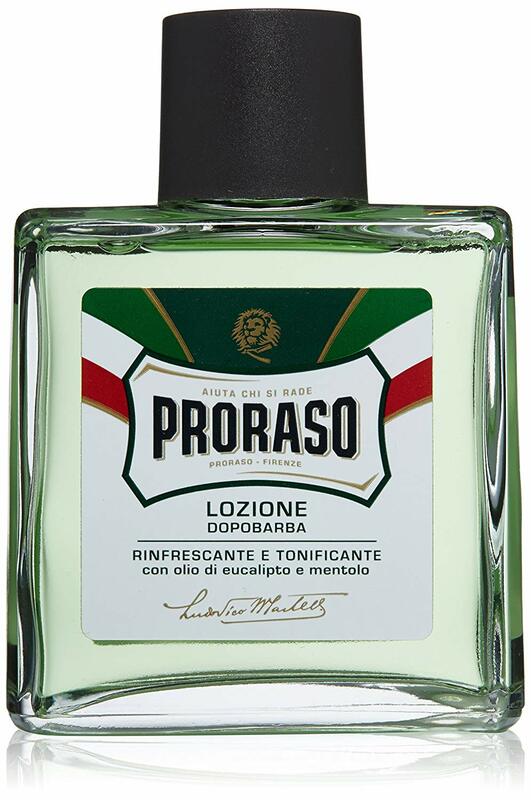 The Proraso aftershave lotion has been a staple of Italy's culture since 1948. The all-natural formula of this lotion contains no paraben, silicones, or artificial colors. Proraso has manufactured its lotion aftershave with fresh, natural ingredients such as eucalyptus oil to purify the skin and facial hair. Paired with menthol and witch hazel to reduce rashes, burns, and refresh and revitalize one's face, this aftershave is the ultimate soothing tool. The scent dissipates within an hour or two and is not overbearing to begin with. Users report feeling an immediate relief after applying this lotion, and its lack of animal-based ingredients even make it vegan-friendly. Aftershaves can have a large variety of prices. Some of the most basic aftershaves are around $$ while higher-end, all-natural, sensitive skin aftershave lotions can be up to $$. Since brand names play such a big part in the pricing, it is easy to find an aftershave with all the ingredients and aspects you need for a lower price. Know what you are looking for, and we are here to help you with that! This aftershave costs about $14. The menthol and eucalyptus scents are mild and provide subtle cooling properties. Proraso puts no animal-based ingredients in their aftershave to make it vegan-friendly. The low alcohol content makes burning sensations a thing of the past, and the product has a 4.6/5 stars on Amazon from 1,183 reviews. The Art of Shaving brand firmly believes the perfect shave requires preparation, lathering, shaving, and moisturizing. They proudly take care of the last step of this process with their Sandalwood Aftershave Balm. This balm does an excellent job of replenishing moisture and soothing dry skin post-shaving while also revitalizing and conditioning the skin. The ingredients of this aftershave include shea butter and grapeseed extract, both of which nourish the skin. This balm serves as an antiseptic and is completely alcohol-free. All Art of Shaving products are aromatherapy-based and scented with essential oils. 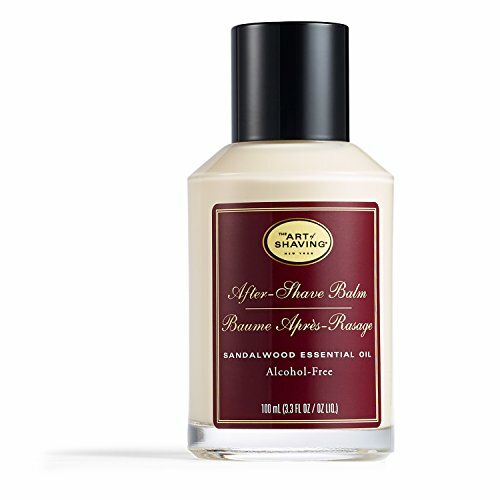 The sandalwood scent of this product is masculine and woody and is light enough to be used with one's cologne. Absolutely no parabens or sulfates are in any Art of Shaving products, leaving nothing but all-natural ingredients. This aftershave costs about $$ and has a 4.3/5 star rating out of 231 reviews. This 3-in-1 Remedy helps relieve pesky unwanted ingrown hairs and razor bumps from rough shaves. The Shave Remedy gel has a blend of plant-based ingredients to help refine one's beard hair. 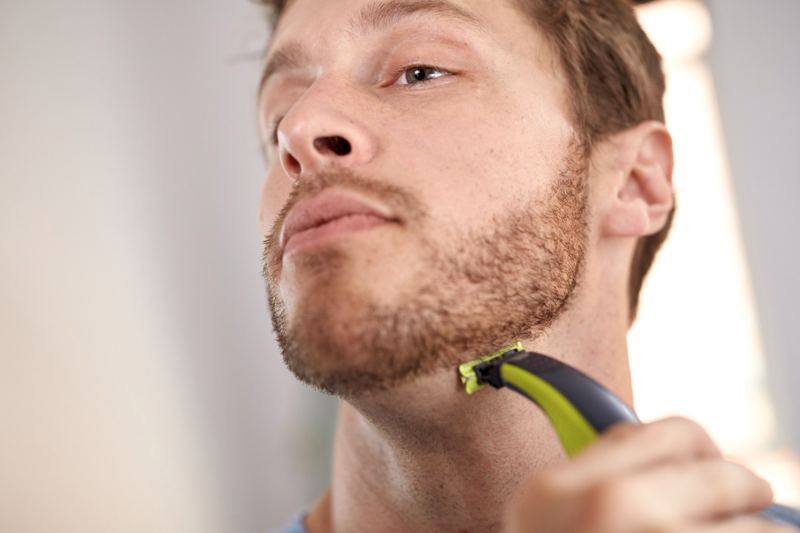 Users have reported feeling the difference within a few weeks when their facial hair grows in thinner and finer. This gel also increases the skin's exfoliation process by allowing hair follicles to remain open. This means one's facial hair will grow outward instead of inward. It soothes the skin leaving it feeling refreshed and invigorated. It moisturizes thoroughly, and it has an impressive list of natural ingredients, not including parabens, that provide antioxidant protection and renew the skin post-shaving. This product costs about $$ and has a 4.1/5 star rating out of 41 customer reviews. 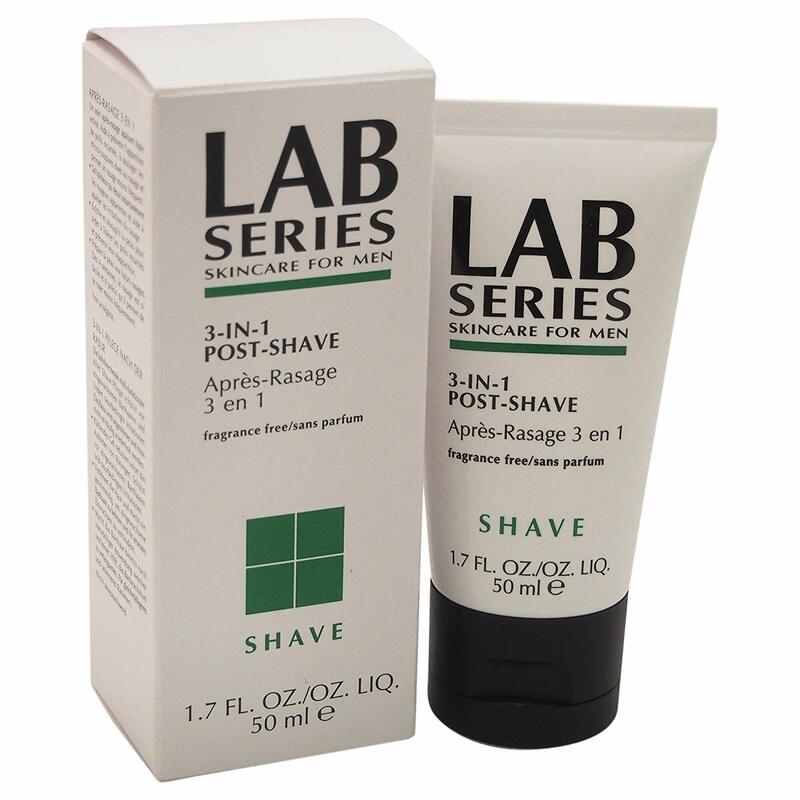 This Post-Shave Cooling Gel can salvage even a bumpy, irritating shave. The gel has a cooling effect that will close the pores and calm the skin. The aloe extracts, chamomile, and witch hazel treat irritated skin and smooth it. Sage and lavender oil are other key ingredients that regulate blood circulation to hair follicles, promoting healthy growth, and containing antiseptic qualities to help heal the skin post-shave. It is vegan and paraben, fragrance, and colorant free. This aftershave costs about $$ and has a 4.4/5 star rating on Amazon out of 190 customer reviews. Having a quality aftershave is just as important to the shaving process as having a quality razor. There are many brands of aftershave on the market today, and they all claim to be the best in scent, lack of harshness, ingredient quality, and best price for the value. Since it's difficult to find the right aftershave for your skin type, there is knowledge of what your skin reacts to and familiarity of ingredients you can equip yourself with to have success finding the best aftershave. We hope we have helped you develop the tools you need to find the perfect aftershave. For our part, Proraso earns a full five out of five stars. As you can see it's not impossible to find an aftershave that has the scents, ingredients, and gentleness you desire for an affordable price, so check out that Amazon link and purchase the Proraso Aftershave today! Your skin and facial hair will thank you!